Obtaining a multiple entry visa for Thailand can be very difficult and in Asia that would almost be impossible. The information which follows is applicable to the current situation in Asia and globally with regards to multiple entry visas for Thailand as at the time of writing. These do change and could become much better or worst. 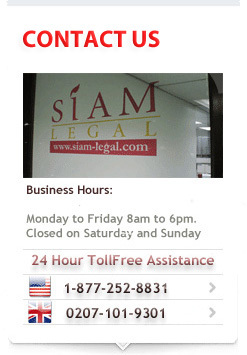 Check with the Thai embassy or with an immigration expert in Thailand. None of the Thai embassies in Asia currently issue a multiple entry visa for foreigners from the West in Asia. If you are going to try and obtain a multiple entry visa for business then it is best to apply in your home-country. The reason Thai immigration has given is that the business visa being abused. If in your home country many now also require that you provide a letter of invite from a Thai company for your business visa. This is also needed more when you have had a multiple entry business visa issued to you before. They will normally only issue you with a 90 day business visa and tell you to obtain a work permit in Thailand. 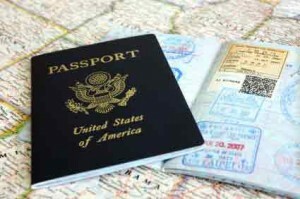 Note that even a single entry business visa when no application has been made for a work permit, the Embassy in Penang will stamp your passport with a red stamp telling you not to return to the embassy for the same class visa again. The Thai embassy in Laos has also become very strict with this class of visa and you need to provide all documentation even for a single entry 90 day visa. The Thai embassy in Cambodia will also deny you a visa if they feel that you are abusing the visa class and possibly working illegally in Thailand. Obtaining these in Asia is very difficult and many will issue you with a double entry visa for the marriage visa class if you can show that you have at least 100,000 THB in a Thai bank account. They tend to more softer in their approach when you have a Thai child or children and are married to a Thai national. Your mileage will vary in Asia with regards to a marriage visa. They will also inform you that you need to obtain a 12 month extension in Thailand. The Thai government has over the period of 2012 made the process for extension for both marriage and retirement visas much easier to understand and have streamlined the visa extension process. Noted in the Bangkok Post in October 2012 when Thai immigration recorded record applications for retirement extension visas in Thailand. They put this down to the effort which they have made in making the process easier and that Thailand with its low crime and low cost of living has attracted even more retirement applications. If you are looking at living in Thailand then apply for an extension in Thailand instead of the multiple entry visa. The process today is much easier and much more user friendly. Speak to us online or walk into any of our offices in Thailand today for more advice and assistance!